For retailers, Product Listing Ads are the height of fashion! Columnist Andy Taylor explores the growth of this ad format and discusses how search advertisers can take advantage of this trend. Google Product Listing Ads have been around quite a while, having rolled out to all US advertisers in 2011. Since then, we’ve seen incredible growth of the format, which accounted for 43 percent of all retailers’ Google search ad clicks and 70 percent of non-brand clicks in Q1, according to my company’s latest Q1 Digital Marketing Report (registration required). The vast majority of advertisers spend most of their time optimizing for non-brand search, since brand searches are typically navigational in nature for non-manufacturers and are mostly the product of other marketing efforts that drive brand awareness and demand. As such, the game has changed for e-commerce advertisers, from one in which optimizing keyword lists, along with the ad copy and bids tied to them, came first and foremost, to one in which even managing keywords perfectly may only get an advertiser 30 percent of the non-brand pie. The feed-driven ad model is here to stay, and many advertisers must shift focus away from text ads to optimize for those ad units driving the most growth. Let’s take a look at some of the recent drivers of PLA traffic growth for advertisers, and wrap up with some of the key areas of account management that e-commerce advertisers must focus on given the growing importance of Google Shopping. There have been far too many “Year of Mobile” declarations, but when it comes to Product Listing Ads, this just might be it. PLA phone spend and clicks grew incredibly in Q1, up 193 percent and 162 percent, respectively. PLA growth on desktop and tablet devices is solid, but it looks paltry in comparison. There are a few factors helping to drive up PLA growth on mobile devices. The first is the natural rise of mobile internet usage in general. More Americans own smartphones now than ever before, and that trend is only going to continue. As long as mobile users are turning to the web for their search needs, Google ad traffic is going to grow on these devices, as Google is the default search engine for the vast majority of smartphone browsers in the US market. Another, less organic accelerator of PLA growth recently is the significant increase in the size of PLA units on phones. 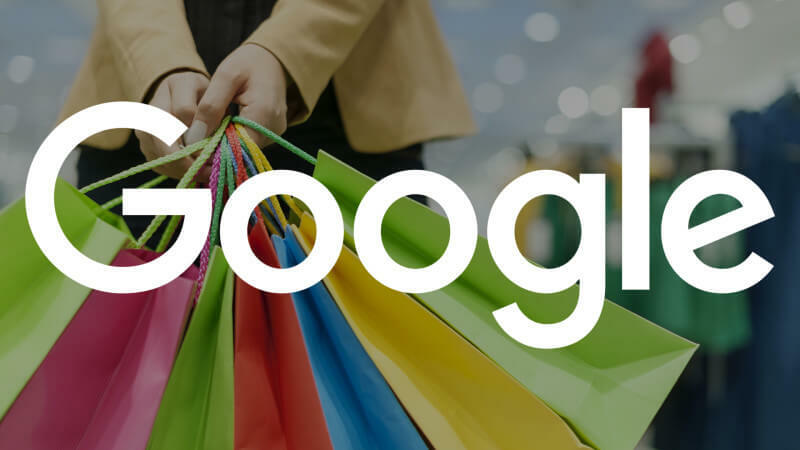 In July 2015, Google announced expandable Shopping Ads on phones, which would appear at the same size as prior to the update when first rendered on the SERP, but which would expand once a user interacted with the carousel. However, just two months later, Google scrapped the expandable units and instead simply doubled the size of how the PLA unit appeared at all times. This resulted in PLA units dominating the above-the-fold real estate for many phone searches. This increased real estate certainly helped PLAs to garner more clicks. But Google didn’t just stop at upgrading the size of these ad units – it also appears they increased the frequency with which they appear on phone SERPs. Beginning in July 2015, PLA impressions on Google.com began to grow significantly for phones. During the busy holiday shopping season in November and December, PLA impressions naturally increased across all device types with increased search volume, but phones saw the most dramatic rise. Looking at the first three months of 2016, PLA impressions are actually higher than even the busiest stretch of the holiday shopping season for phones. In March, PLA impressions on phones were up 174 percent year over year for the median advertiser. All in all, it looks like Google has rapidly expanded the volume of searches that trigger PLAs on phones, and this in turn has paid massive dividends in terms of click and spend growth on the format. Aside from showing bigger PLAs more often on its own SERP, Google has also recently begun using another tool in its arsenal to expand the reach of PLAs: search partners. Search partners have long accounted for only a tiny sliver of PLA traffic. But beginning in August of 2015, that share began to rise. Google began showing PLAs in image searches, with this traffic classified as coming from search partners. Retailers such as Kohl’s and Target started to increasingly show PLAs on their sites. While search partner traffic share has since come down from the highs observed in December, it’s been back on the rise over the past couple of months for all three device types. As I talked about in this column, search partner PLA traffic performs at an almost identical cost per order as Google.com traffic for phones and tablets — the device types with the highest share of PLA traffic coming from partners. Thus, partner traffic has given many advertisers an efficient way of expanding their PLA programs. So, what can advertisers do? The conclusion here is that as far as e-commerce paid search optimization goes, Product Listing Ads need to be a priority — perhaps the priority. optimizing product feeds to meet and exceed all of Google’s requirements. keeping feeds up-to-date in terms of product selection, availability and pricing. structuring Shopping campaigns intelligently to bid products and manage negatives effectively. using negatives and campaign priorities to segment campaign traffic by query type, such as forcing all brand traffic to a single campaign to bid this traffic differently from non-brand traffic. using a smart bidding platform capable of bidding products and devices to efficiency targets. Consistent search term report monitoring to inform negative keyword additions and guide structural campaign changes to help funnel queries to the most appropriate product groups with the most appropriate bids. Failing to make PLAs a priority means failing to take advantage of the single biggest vehicle of paid search growth for e-commerce brands. Keyword management is still important, but PLAs are the new black.